JowettTalk is an active forum that has lively debate related to Jowetts. JowettLibrary was launched in 2007 to gather knowledge about Jowetts into a library. A growing list of interactive services for more efficient communication. This website has recently moved from where it was hosted so as to provide even better means for bringing those interested in Jowetts, and the knowledge they have, together. This page is a portal to most of the web facilities available relating to Jowett cars made in Bradford. If this is your first visit then you can learn something about the cars and the clubs that support the marque. Links to other webpages will enable you to find out more. Please use the Contact form if you have a question or have information that may further our knowledge of Jowetts. Will we get best Live Working on Vehicle at Show again? See last year's event here. Click here for discount tickets and see what is going on. If you are interested in talking about Jowetts then register on the forum or go along to an event that is closest to you. 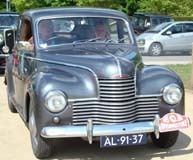 We may be able to put you in touch with a member close to you, although some parts of the world have few Jowett members! Use the Contact Form to state your location and preferred language. Note that JowettTalk is multi-lingual, although most communication is in English. If you already own a Jowett (or even if you do not), please join one of the clubs to gain full benefit from the Jowett community. Please share your experiences and knowledge as well. If you are looking to buy a Jowett then there is a link to a regularly updated 'For Sale ' section. Many are now buying Jowetts as 'project' cars. A wealth of information exists on this site on how to restore the cars, with lots of help coming from club members. JowettTalk is an active forum that has lively debate on technical and other issues related to Jowetts, answers questions both technical and historical and lets you know what is going on in all the club sections across the world. You need to register to take part. JowettTalk has its own search facility but you must be logged in to use it. The pre-2006 JowettTalk can still be searched using the Jowett.Org search. Most of JowettTalk is viewable by the public, but some sections are only accessible by registered users or special groups. This posting has a step by step guide on how to get started. JowettLibrary was launched in 2007 to gather knowledge about Jowetts into a library. The Library can be searched to find technical and historical articles as well as contributions shared by members in their personal albums. Users can also comment on items in the archive so furthering our knowledge. The JowettLibrary is integrated into the forum, JowettTalk, so that pictures, videos and documents can be referenced and discussed. By default, items are not available to the public, but owners can change this to share them with the world. Both JowettTalk and JowettLibrary have special areas of co-operative space that allow members to work on subjects together. Members can upload information into these spaces and then curators can reorganise the items once they are checked and completed by others. In this way there is an accumulation of press cuttings, parts' lists, manuals and technical bulletins, historical pictures, audio recordings and videos. Each club also has an area to store documents or records of events which may assist members organising events in future. Access can be strictly controlled, if required, either based on groups or individuals. Club membership is checked at login so that access can be authorised. A growing list of interactive services for more efficient communication. They rely on the co-operation of the members and officers of the clubs for the management of the processes involved. 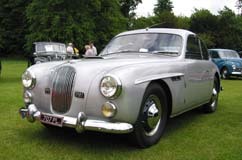 The services allow membership renewal, location of members, booking of events, contacting members local to an event, and, in the future, ordering of parts and many other facilities that could be useful to the on-line community of Jowett owners. 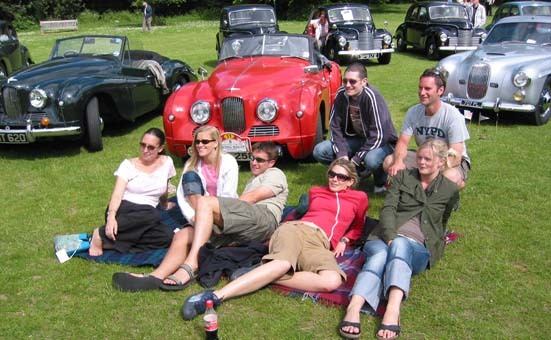 Formed in 1923, the Jowett Car Club claims to be the oldest one-make car club in the world. The Australian Club started in 1956 and the New Zealand club started in 1962. The Jupiter Owners Auto Club started in 1962. The Jowett club has used computers since 1974 and a Jowett website has existed since the early 1990's. The pre-2006 website remains here. Over the many years, changes in technology have been accomodated without losing much information, albeit with some increase in complexity. This portal tries to reduce that complexity, routing you to the most commonly requested information. The webpages are gradually being transformed into a 'mobile-first' framework that also caters for tablets and large screens. Whilst we try to maintain compatibility with older browsers you may have problems with some. Please let us know if you do. Affiliated clubs thrive in Europe, Spain, America, Australia and New Zealand. Members contribute from many other countries. There is a website devoted to the Jowett Jupiter and you can visit the the Jupiter Owners Auto Club website. Look at the regional sections in JowettTalk and Jowett Library for more detail. Each club has a spares scheme and they do co-operate to provide a comprehensive service. JowettTalk has a section on Cars and Spares for sale. Each club has a shop. Look also at the Memorabilia section of JowettTalk for more to buy or sell. Each club produces a regular magazine some of which can be viewed in JowettLibrary. Jowetteer from the UK, Flat Four from New Zealand, The Javelin from Australia, Jowett Jive from America. Note the above will not be seen unless logged into JowettLibrary and your registered email address corresponds to that in a club membership list. Clubs maintain registers of cars and the registrars often know each car's history. So if you have any information please contact them via Contact Form. British cars made in Bradford from 1906 to 1954 namely- Jupiter, Javelin, Bradford, Jason, Black Prince, Curlew, Kestrel, Weasel, Flying Fox, Falcon, Long Four, Focus, Blackbird, Kingfisher, Black Prince, Wren, Grey Knight, Silverdale, Chummy, 7cwt Van, Short Two. Scroll through some examples below by touching the arrows. JowettTalk has a section on Cars for sale. 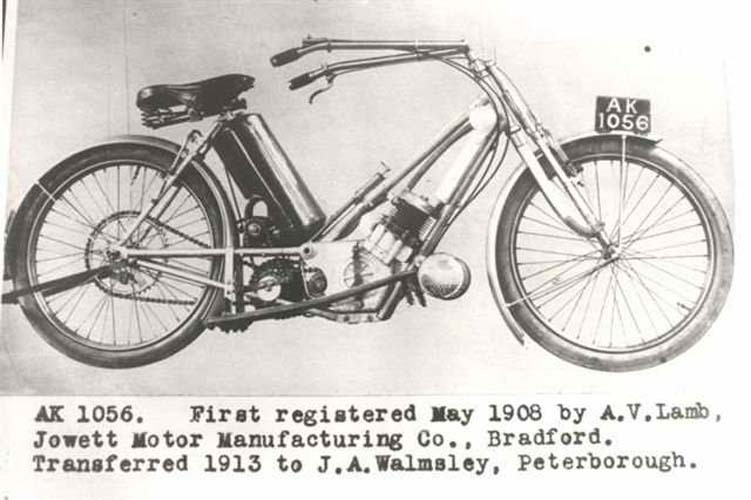 Jowett produced the first Scott motorcycles. They also made engines for other cars, before eventually making and running a prototype complete car for four years. 6 hp 816 cc (831 cc from 1914)side-valve flat twin water-cooled, 2-seater, 48 produced 1906–1914. Three speed gearbox. 7 hp 907 cc side-valve flat twin, 11,444 (inc Long 7) produced 1919–1930, 2-door fabric saloon, 2-door coachbuilt saloon Three speed gearbox. Four wheel brakes from 1930. 84 in (2,100 mm) wheelbase. 7 hp 907 cc side-valve flat twin. 11,444 (inc Short 7) produced 1930-36, 102 in (2,600 mm) wheelbase. 12-volt electrics from 1933. Four-speed gearbox from 1934. Twin carburettors on the Weasel. 2-seater, sports tourer, 4-door fabric saloon, Kestrel coachbuilt saloon, Black Prince, Silverdale and Grey Knight de-luxe saloons, Simba tourer, Weasel sports tourer. 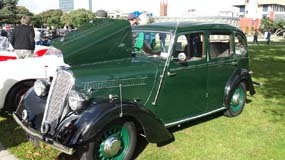 Jowett Ten 1166 cc side-valve flat four, saloon (Jupiter, Jason, Plover and Peregrine), van, 1881 produced 1936–1940, Twin carburettors up to 1937. Jowett Eight 946 cc side-valve flat twin saloon, 2888 produced 1937–1940. Jowett Javelin 1486 cc overhead-valve flat four saloon, 23,307 produced 1947-1953, Class win, 1949 Monte Carlo Rally. Class win, 1949 Spa 24-hours race. 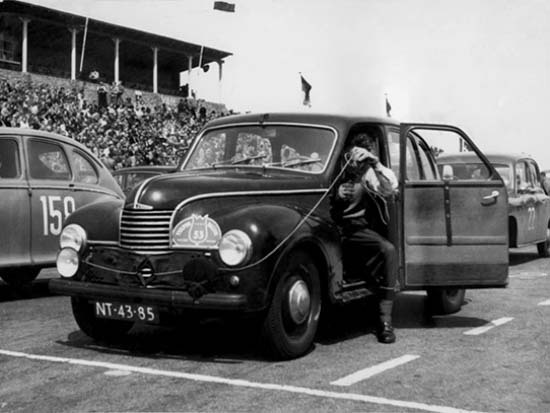 Outright win, 1953 International Tulip Rally. Class win, 1952 and 1953 RAC Rally . 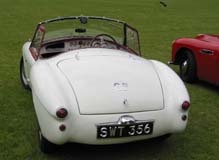 Jowett Jupiter 1486 cc overhead-valve flat four convertible, 900 produced 1950–1954. 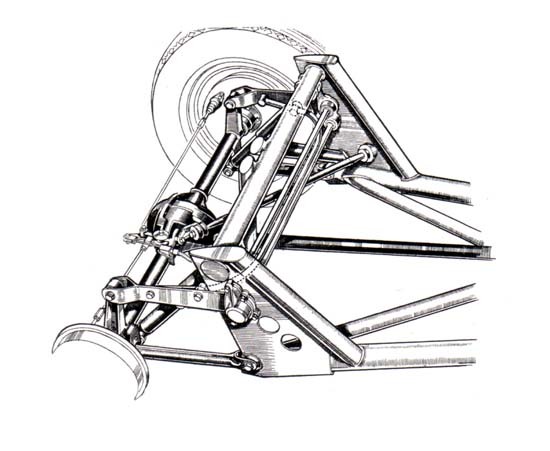 Tubular semi-space frame, hydraulic brakes. Class-winner at 1950 24 Hours of Le Mans in its first race. Also, outright win of the 1951 Lisbon International Rally and class win at Le Mans in 1951. In 1952 the sports-racing variant Jupiter type R1 won its class at Le Mans. Some 67 Jupiter supplied as chassis to independent coach builders such as Pininfarina, Ghia Suisse, E. D. Abbott Ltd, Harold Radford. Each region and section have events they organise. Here are some but there are more in the What's On section of JowettTalk. There is also a calendar of events here. NEC Birmingham 8,9,10 November 2019. 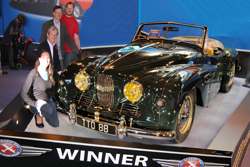 The UK's Biggest and Best Classic Motor Show. Club member discount here. 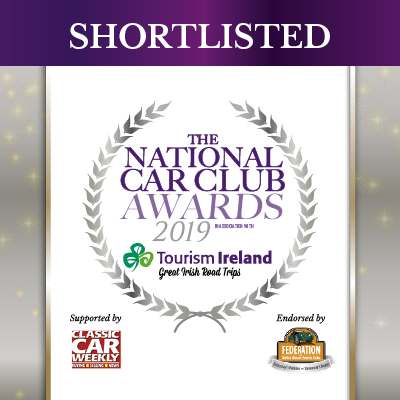 Best Working Stand 2018 and 2016, Lifetime acheivement 2018, Best Stand and Best Car 2017, Club of the Show 2015, Stand of the Show 2014. See here for more details. The world's best Classic Car event where Jowetts provide the taxi service. Grantham. 24th–27th May 2019. Booking form here. News on JowettTalk here. Ramada Resort, Grantham. Woodland Waters, Ancaster, Grantham, NG32 3RT. Sunday 10A.M. UNTIL 4P.M. Thanks to Neil Moore in New Zealand for this timeline of the Jowett company with highlights of when the clubs formed. You can read a lot more in the books listed on this webpage. Some more on the history is on this page on the old website, take particular notice of the 50th Anniversary Celebration booklet. 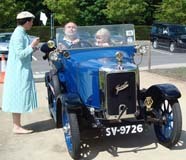 The two Jowett brothers, William and Benjamin, with their sister, Ruth, formed the Jowett Motor Manufacturing Company with capital of £90 split into equal shares. Their main work was building replacement engines for other cars. After many experiments they produced a 55° v twin as replacement for 6hp de Dion and Aster engine – theirs was much smoother running – quite an accomplishment in those days! Arthur Lamb looked after the clerical side of the business, and bought Ruth's share for £60 – the business was now valued at £180. 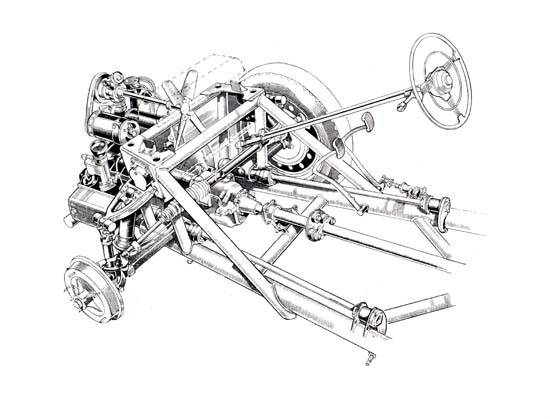 The first 4 stroke horizontally opposed 2 cylinder engine was built and a car with a smooth running engine was a possibility. Many experiments followed with different drives. Eventually the AK 494 was born. 6' wheelbase, tiller steering 815cc horizontally opposed engine with the capability of 2750rpm, driving at up to 48 mph. This car then underwent 4years and 25,000 miles of trials and refinement. Jowett Motor Manufacturing Co started building cars!! Production started on 48 cars in batches of 12 over the next 6 years. The first car went sight unseen to South Africa. An Englishman living in Cape Town advertised nationally. He wished to purchase a car that could climb Table Mountain in one clean ascent. He challenged a manufacturer to supply on a sale or return basis. 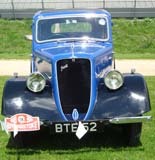 The first production Jowett was supplied on this basis and never was returned!! Resistance was being felt to the meagre RAC rating of 6.4hp for sales so the Jowett was advertised at 8hp(RAC) and sold well with no changes! A waiting list of one year developed and business went well. The final car number 1648 or the last of 48 produced in 1916 was sold to a doctor in NZ, and is the earliest Jowett in NZ – still in Christchurch waiting to be restored. After the cessation of 24 hour war work Jowetts lacked any volume of work but couldn't shed staff so they made a loss for 1919. On 30th June Jowett Cars Ltd was registered with £30,000 of shares of which £1500 was paid up equally between the three. About this time a disused quarry at 5 Lane Ends was purchased for £100 and the Bradford City Corporation paid for it with tipping rights. A newly built factory was moved into by January 1920. The first car rolled out by April. By late 1920 a new road traffic act meant that by increasing bore and capacity to 907cc an RAC rating of 7.04 hp meant £7 road tax per year. So the 6.4hp became 8 hp and now 7 hp. Jowett Car Clubs formed and the "Southern Jowett Car Club" is now the "Jowett Car Club" of today. In response to challenges to British Motor Car Manufacturing Companies. The First 1770 miles through Kenya and Uganda. The Second across Africa 3800 miles from Lagos to Red Sea in 60 days over mostly no roads averaging 30mpg + 77 miles/day. Compact disk with images of the booklet of the 1926 Across Africa journey available from the Jowett Shop. Minor changes to engine camshaft and clutch and 4 wheel brakes introduced. Rubberised bushes on suspension points. "Silent Bloc" bushes. And "Lay rub" couplings on drive shaft. 4 cylinder engine introduced in "Jason" and "Jupiter models. Very raked radiator and twin carburettors. Radiator rakes lessened and back to single carburettor on 10hp 4 cylinder engine and 8hp 2 cylinder engine. Jowett by now a public company. Both Jowett brothers had retired, but still had majority shares. Gerald Palmer headhunted from MG. The start of the Javelin. 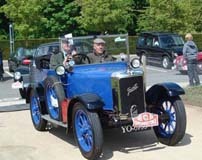 CA Bradford produced –a van with the famous 2 cylinder engine designed in 1906. Gerald Palmer leaves for MG May 1949. October London motor show "Earls Court" Jupiter chassis on display. March 2 Jupiters ready -One for USA April show. 3rd Jupiter entered for Le Mans in June Finished 16th overall. 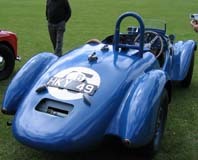 1st 1500cc class and broke Aston Martin's 1937 record with 75.8 mph average. First of 3 consecutive class wins. More rally and racing successes for Javelin and Jupiter. Best production figures for Javelin. Early 1951 gearbox built 'in-house'. April 1951 gear steel EN36 became unavailable due to Korean war. Alternative steel caused major problems and gearboxes became a problem. 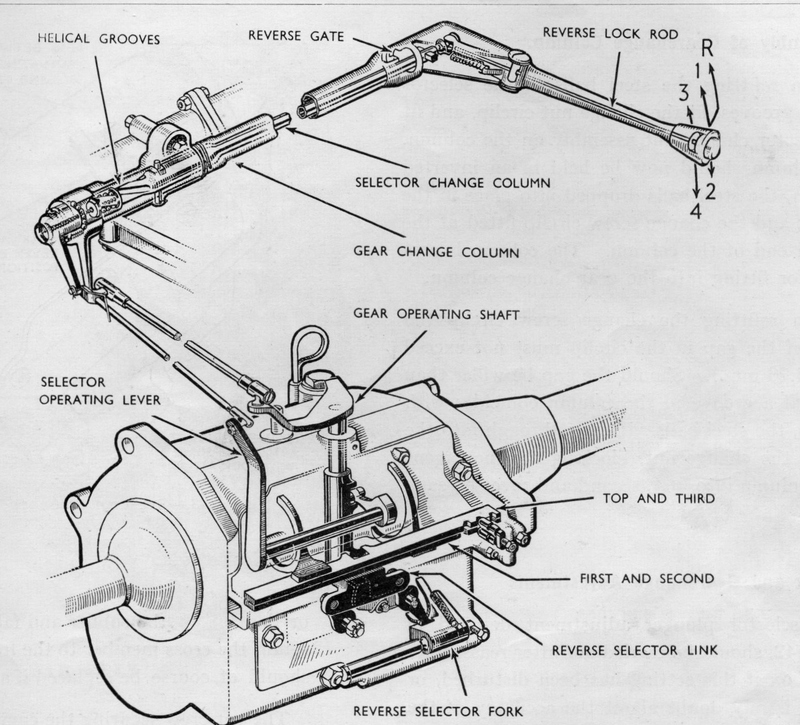 Gearboxes became a 'big' problem but various other shortcomings didn't help. In May delivery was halted briefly, for more gearbox experiments. Sales of Javelin were dropping off badly. Christmas 1952 200+ bodies stockpiled around stores and roads. Briggs asked to stop body supply temporarily in Dec 1952. In July employees were told the factory and most jobs and machines would be with International Harvester from October. Last Jowett left Idle on Nov 4th 1954, a Jupiter. Jowett Cars Ltd sold to Blackburn Aircraft. No debts and shareholders paid out pound for pound!!!! Jowetts promised to supply parts and service till Dec 1963, which it did at Howden Clough Bradford. Jowett Car Club of Australia formed. Blackburn Aircraft became part of Hawker Siddeley Group. Jowett Car Club of New Zealand and JOAC formed. 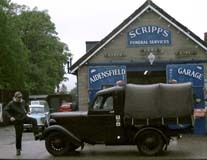 Jowett finally closed and 30 tons of parts sold at scrap prices to 5Star Motors Auckland. For the last 50 years clubs in UK, Aust, NZ, USA, and Denmark, have kept spares and the Jowett flag flying. 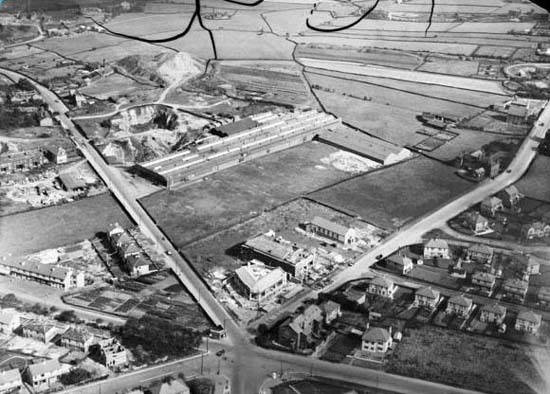 Below shows the location of the Jowett factory in Idle, Bradford, England. Now a Morrisons supermarket. Our on-line services enable you to communicate with us more easily and save our volunteers a lot of work dealing with post, cheques and spreadsheets. The services are accessed through a form which asks you for details so that we can confirm your membership of one of the Jowett clubs. This requires you consent to jowett.net storing and using your personal data to process your requests. The site requires an email address that can be used for communicating with you, a telephone number so that we can call in the event email is not working, and your name so that the process can check against club membership records. Note your email address must be the same one that you have registered with the club. You should read the Policy statement before using the system. The system will send you an email which has a link in it that you should click so as to start a half hour session to use the services. There is an introduction to the services here. Screen by screen tutorials are available here or click on the individual 'HELP!' links. Once registered, you need to respond to an email sent to you so as to activate your account. 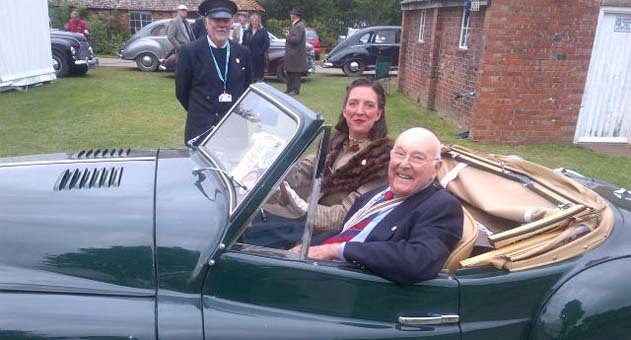 If you are a member of a Jowett Club you will have access to appropriate services. 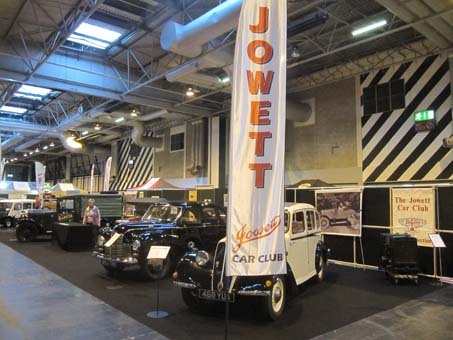 If you would like to join or book to attend a Jowett event, then you should also register here. This link also assists in the JowettTalk registration. HELP! This facility allows you to check and correct the records held by the club, so is useful if you have moved or changed your email address. HELP! This service allows you to add and update details in the vehicle registers. You can search using various criteria to find your vehicle. The system will populate any fields in forms, thus saving you work and giving you the opportunity to update the record. This allows you to renew membership on-line and correct any details. Currently only available for JCC Ltd members. HELP! This facility allows you to request an email copy of the Jowetteer to be sent to you or to stop receiving the printed copy and thus save trees. 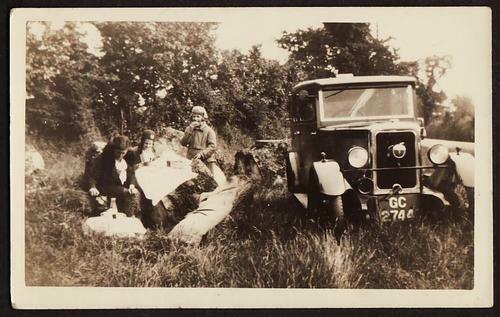 Book your rooms, meals, packed lunches and rally field space for your Jowett here. Also volunteer as a marshal or concours judge. This facility allows you to locate a member so may aid when visiting foreign parts or in the unlikely event you are broken down in a Jowett. Used on a smartphone with geo-location it can guide you to close to the member's house. 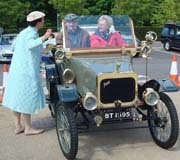 It also helps organise 'Get a Jowett on the Road days' or other events as members close to the event can be contacted. Members indicate whether they are able to offer spares, towing or accomodation assistance and if they need help getting a Jowett on the road. You can use this form to contact any club officer in any club, so if you know with whom you wish to communicate please say their name, club (region) and office held. We will endeavour to put you in touch with a relevant officer, if you do not, but please give your location and car details, if appropriate. You may like to look at this page first as it has information on each regional club, and has links to each regional website . Click on the picture for each club to enter its album of information. There you will find links that enable you to contact club officers directly. Email: Please use the form to send an email. I consent to jowett.net collecting my details through this form and passing them to others in order to process my request. Please click in the box. Spam reducer: What are the first three letters of the town in which Jowetts were made? Please make sure you have clicked the CONSENT box at the start of this form.